I’m sure you’ll agree that an all season tire must have the right performance, price, and longevity to be considered the best in its class. That was our top criteria for selecting the best all season tires. If you’re ready to hit the road, the Goodyear Eagle All Season Tires scored high marks in all categories and was our top pick. There have been advancements in tires that allow them to last longer than ever before, but tread life is going to be different for different vehicles, tire type, driving conditions and road conditions. Tires usually have a “lifespan” and it’s up to the owner of the vehicle to pay attention to the condition of the tires so they know when it is time to replace them. If you want a good set of tires that can work in a variety of weather and driving conditions, consider all season tires. As their name denotes, they are good for all seasons and make great all around tires that work in a multitude of weather and driving conditions. There are several different types of all season tires available. 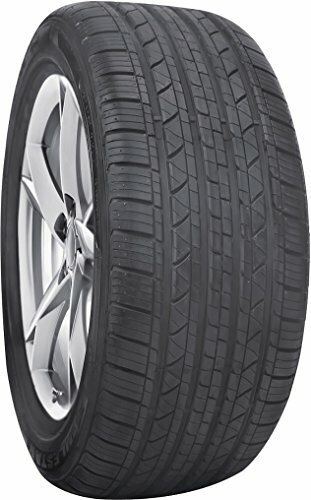 This guide and the reviews on the top rated all season tires will help narrow down your choices so you can get a set of tires that will meet your needs. You’ll be ready to hit the road with these Goodyear Eagle RS-A Tires that deliver all season performance and traction. With these tires on your vehicle, it will be easy for you to control your vehicle despite the driving conditions. This is true even in wet or snowy roads. The asymmetric design of the tread on the Goodyear Eagle tires make for a quiet ride for everyone in the vehicle. The tread is also responsible for improved traction that helps your tires grip the road – even around corners. The shoulder blocks and wide lateral grooves make handling easy. This is the perfect tire for lightweight trucks and highway vehicles and will provide you with a smooth, enjoyable ride. Add style with the black sidewalls on these tires with a speed rating of 130 mph. 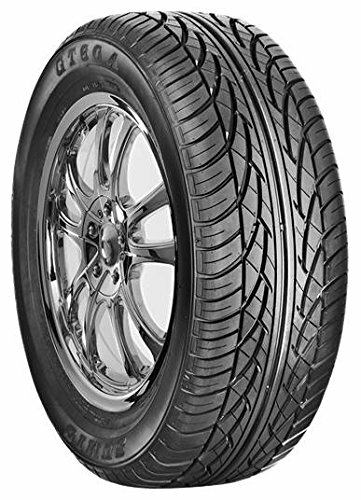 This excellent tire will look great on your vehicle and you will love its performance and smooth ride too. Nankang tires are an international leader in the manufacturing of superior tires for passenger cars, light trucks and SUVs. The company is known for their quality and innovation in all the tires they manufacture. The all season touring tire from Milestar will offer you year-round comfort and will appeal to your sporty side with their superior handling and performance. Hydroplaning dangers are reduced with the circumferential wide grooves that aid in the elimination of water from the tread of the tire. The circumferential ribs will improve the stability and handling of the tires as well as their lateral grip. The siping is longitudinal and angled which helps the tires last longer and also reduced the speed of tread wear. These all season touring tires with the stylish black sidewalls will provide you with a stable and safer ride. The all performance GT-A All Season tire from Sumic combines superior quality with value and design to give you tires you will love having on your vehicle. The impressive size coverage and advanced technological construction provides vehicle owners with superior performance in all areas. The advanced tread compound improves and enhances wear performance for each tire. Vehicle owners will enjoy a superior ride and excellent stability due to the symmetrical 4-rib pattern. These tires are great for wet road conditions thanks to the circumferential center channel and the extended lateral grooves that evacuate the water so it doesn’t affect your driving. The high rigidity construction produces high speed handling capabilities that make riding on these tires something to talk about. Noise level is good on the Sumic GT-A All-Season Tires as well so you won’t have to hear tire noise while driving. Tires are a very important purchase and sorting through the different kinds can be truly confusing if you don’t know what to look for. There are many different brands, types, and styles of all season tires so it helps if you have an idea of what you are looking for before you purchase your tires, especially since this can be an expensive purchase. We rated the top 15 tires on the market, comparing them in the categories of performance, cost, tread longevity, additional features, size ranges and more. These three, top-rated choices were at the top of the list in all the categories and were clear customer favorites. Continue reading our buyer’s guide below to learn valuable information on choosing the right all season tires for your vehicle. With so much riding on your tires, literally, it is extremely important that you know what is involved in choosing a great quality tire that will provide you with performance, style, smoothness and much more. What is an All Season Tire? Your vehicle’s tires are one of the most important parts of your car or truck. They need to be monitored carefully for safely reasons due to the fact that you drive yourself and your family around. A tire blowout can be a real inconvenience but it can also be very dangerous. Knowing the size tires that are on your vehicle currently is important so you can replace them with the correct ones when it comes time to get a new set. In this buyer’s guide we’ll help you learn all about tires so you will understand how to choose a quality set. There are many different types of tires on the market today. We’ve listed the most common types of tires along with a little about each type so you understand the differences between them. 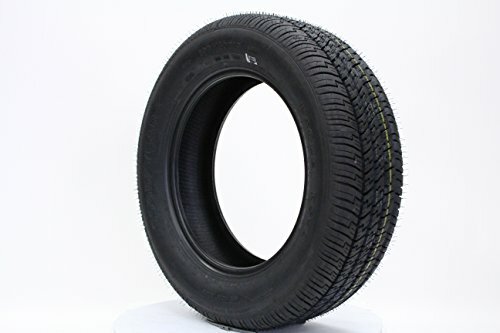 All Season Tires – This type of tire comes in a variety of sizes that can fit anything from a small car to a light duty truck or SUV. All season tires provide you with traction that lasts all throughout the year, a comfortable ride and tread that doesn’t wear out quickly. All season tires can lack a bit in precise handling and grip. They usually fit wheel sizes from 14 to 18. Performance All Season Tires – These upgraded all season performance tires provide grip year round for the driver that tends to push the envelope a little. These tires have a higher speed rating than regular all season tires and provide the driver with improved handling and braking. These tires work on wheel sizes from 15 to 20 inches. Ultra High Performance Tires – The ultra-high performance all season tires are usually what you will find on upscale sedans and sporty vehicles too. They are designed with the express purpose of providing the driver with good handling as well as responsive steering regardless of whether you are driving in wet or dry conditions. They will typically fit wheels sizes 17 to 22 inches. Some of the all-season varieties of UHP tires may give up a little bit in the grip department to increase winter traction. All-Season Truck Tires – When you use your lightweight pickup or SUV to move heavy loads, having a great set of All-season truck tires are the perfect way to make sure those loads are hauled safely. The all season truck tires are designed to perform well despite the weather conditions and usually do well in most. These tires have a wheel range of 15 to 22 inches. Since about 2008, tire pressure monitoring systems (TPMS) have been standard in all new cars. Government studies have found that TPMS has brought about a reduction in under-inflated tires on the road. This benefits fuel economy and safety as well. Federal requirements state that drivers need to be alerted when the pressure of their tires drops significantly. This alert system takes many forms. Sometimes wheels are fitted with sensors that will monitor the pressure and will then send the data to the car’s instrument panel via wireless means. These direct TPMS systems oftentimes require batteries that would need to be replaced. Sometimes the whole sensor system needs replaced after a few years. Keeping up with tire pressure doesn’t have to involve outside sensors, especially if the driver regularly checks the tires manually but this can be difficult to remember to do as often as you should, which is why sensor systems are so popular. The sidewall of a tire has a lot of helpful information that can help you when it comes time to change your tires. Whenever you replace your tires, be certain to stick with the same size and speed rating of the tires that are currently on your vehicle. The following pieces of information are found on the sidewalls of your tires. Size – The size of your tire will be displayed on the side of your tire. It will have several numbers that could read something like 215 75r 15, for example. This number is the size tire your vehicle currently has and what you will need to get when you purchase the replacement. Load Index – The load index is how much weight each tire can carry. It will be the maximum tire load. This is the number that is usually at the end of the tire size and can be in the 90s in most cases although this number will change. Speed Rating – Speed rating is indicated by a letter that will represent the tire’s maximum speed. This is not a rating that indicates how fast you should drive. Below are the standard speed ratings. Manufacture Date Code – All tires have a DOT number following the letters that are on the sidewall. The last 4 numbers indicate the week and year that the tire was made. Here is an example: the numbers 3015 would represent the 30th week of 2015. Never buy tires that are more than two years old. Several factors come into play when it comes to wear and tear on your vehicle’s tires. Things like heat, environment, potholes and under inflation can weaken your tire and cause it to needs replacing more often. Below we have listed some helpful tire maintenance suggestions that will help your tires last longer. Check the air pressure in each tire when the tires are cold (that means when they haven’t been driven on at all). Make sure that they are inflated to the proper levels according to the numbers on the fuel filler door on the doorjamb. Inspect the tires for cracks, bulges, cuts or any other imperfections that can cause a tire to blow unexpectedly. Check for uneven tread wear on your tires. This will give you a hint that your vehicle is out of alignment. You will need to get this checked out if the wear on your tires is indicating a problem. It is also important to get the vehicle aligned and the suspension checked before you mount new tires. This will prevent premature wearing. Measure the depth of the tread with a quarter to ensure. The top of George Washington’s head is just visible in the tread groove. Your vehicle’s tires are one of the most important parts of your car. If they are substandard or weak it can cause potential hazards that can be very dangerous. The information in this buyer’s guide is designed to help you choose the right tires for your vehicle that will provide the best performance, grip, handling and smoothness that you can get for your budget. Choosing tires is much easier when you know what to look for and what each type of tire provides. Knowledge will give you the confidence to make an informed decision that you know will result in a smooth and safe ride for you and your family.